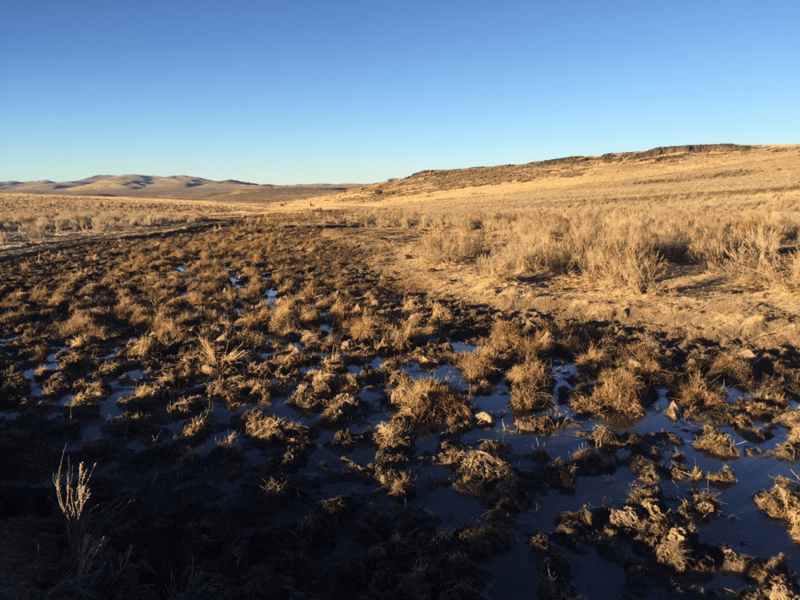 Hutch Spring is typical of the cow-battered dying springs and meadows in the Owyhee uplands in both Bruneau and Owyhee BLM-managed lands. It is located in the Battle Creek allotment grazed by a Simplot ranching operation. This is an allotment where a federal Judge told BLM “grazing must yield” to protect wildlife habitat values. The spring and meadow complex is located in the headwaters of Battle Creek, a drainage that should be inhabited by redband trout, but which is highly degraded by livestock over large segments. 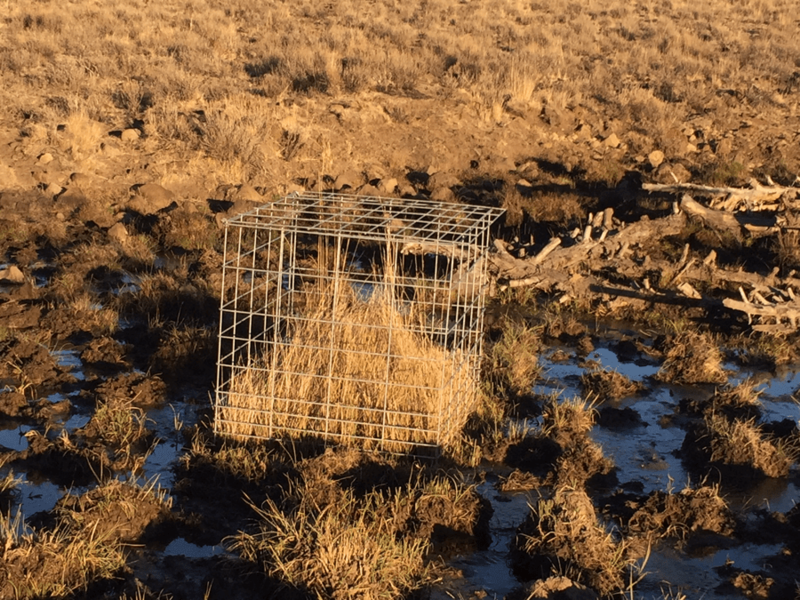 Uncontrolled cattle trampling has caused extensive hummocking and pocking – serving to damage and dry out the spring and meadows. 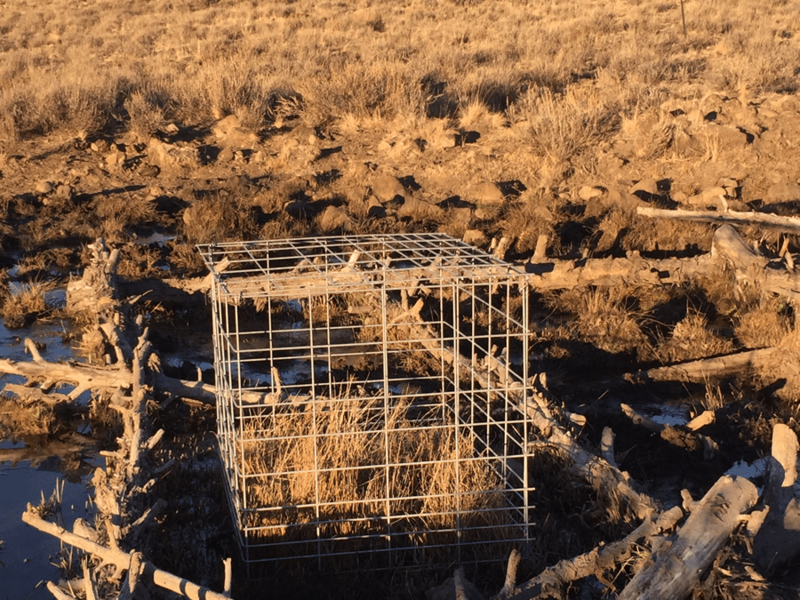 BLM placed two utilization cages. Contrasts between grazed and ungrazed areas are obvious. The cows even ate a bit inside the fence. 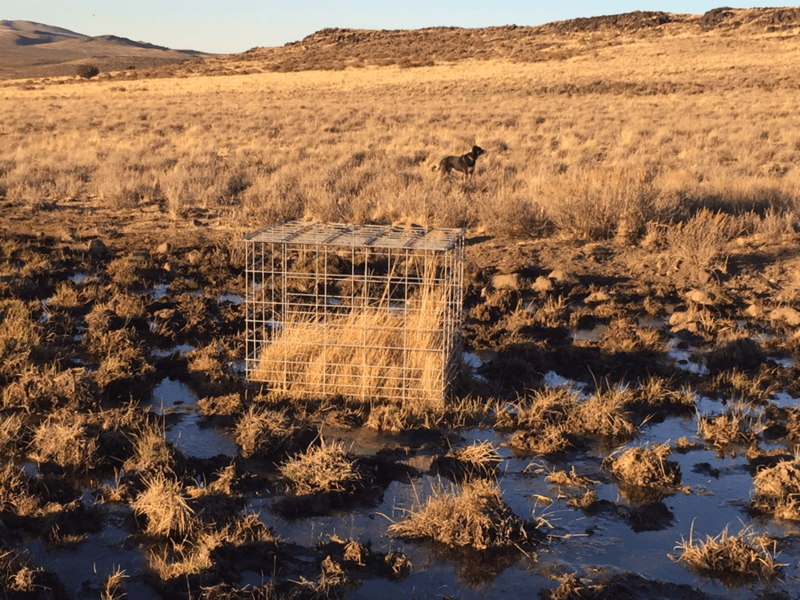 BLM also placed cut juniper logs by the cage in deepest water – to try to limit trampling. It did not work with the grossly over-stocked Simplot cow herds. 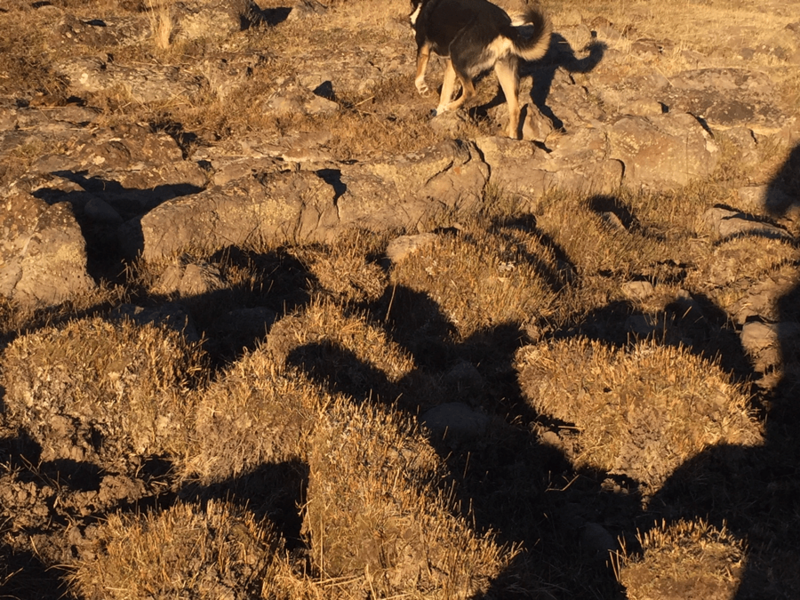 WHY is such abuse of public resources and sage-grouse Focal/stronghold habitat allowed to continue? There is a severely degraded cow water hole reservoir area a mile or so away. 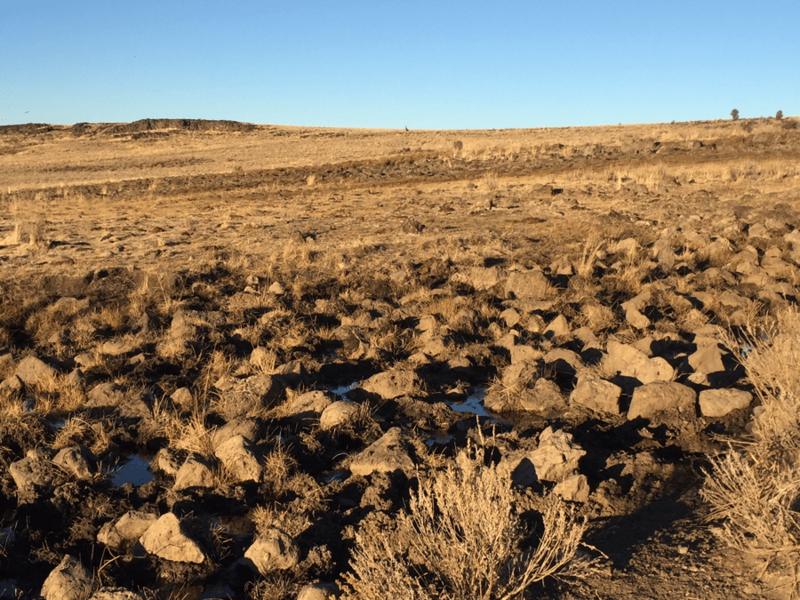 Yet evidently the permittee is unable (or unwilling) to control livestock impacts – and Bruneau BLM Just sits back and lets the abuse continue.